I loved love the nimbu pani / lemonade i used to have at my friend's place when we were kids. Finally, just last year i took the recipe from her mom and since then this magical potion is a keeper in my refrigerator forever. I make it every quarter to be stored and savoured the year round. 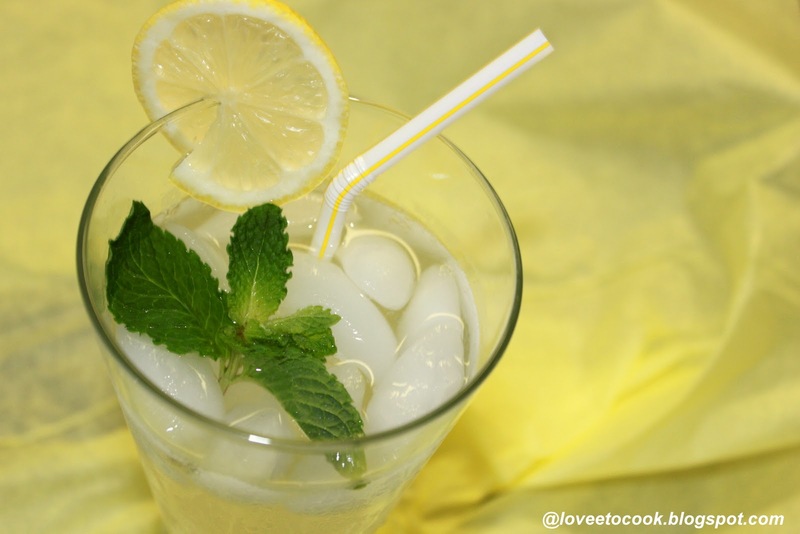 A very simple recipe, tastes and looks exactly like fresh lemonade !! 11/4 cup Freshly squeezed lemon or lime juice. Start by mixing water and sugar in a deep vessel and keep the gas flame on medium to high.Stir and bring the sugar syrup to 3-4 boils. Remove from flame. Cover with a steel mesh (or anything similar) and let the syrup rest overnight for 12 hours at room temperature. In the morning, squeeze and strain the juice of lemons and evenly mix in the sugar syrup. Strain and store in a air tight bottle to be kept in the refrigerator always. Serve chilled with ice, mixing water to some of this lemon syrup in a glass. Add kala namak or black salt for a more enhanced flavor.